Click on Resource in the footer at the bottom of your homepage, and select Browse Raw Data from the available resources. Visit your Account Settings and click on “View” under 23andMe Data. You will see a blue “Download Raw Data” button which will redirect you to the download raw data page. The main view of the Browse Raw Data feature shows the same pictorial representation of each chromosome — including a Y chromosome — for all users. It is important to note that except in rare genetic cases, women do not inherit a Y chromosome and will see “not determined” for markers found on the Y chromosome. To download your raw data, click on the Download tab from within the top navigation bar within the Browse Raw Data feature and scroll down until you see the "Submit request" button. You will receive an email to the email address associated with your 23andMe account when your raw data download file is ready. Typically files are ready within 1 hour. Take me to Raw Data Download. The text file consists of lines of your genotype call data (your A's, T's, C's and G's). 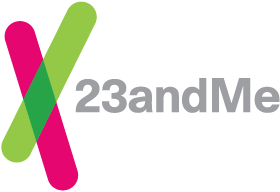 Keep in mind that having your data in hand may be of limited practical usefulness, depending on how much information you can extract from the data beyond what the 23andMe site already gives you. After you submit a request for your raw data file, you will be emailed when the file is ready to download. Just follow the instructions provided in the “Your 23andMe raw data download is ready!” email. The Raw Data file will be downloaded in the form of a zipped (.zip) text file, and its name begins with the word genome. If you are having trouble locating your raw data file, try searching your computer for a file containing the word “genome”. Once you have located your file in your Downloads folder or on your Desktop, you will need to double click or right click on the file to unzip it. An unzipped version of the file will then be located in your Downloads or Desktop folders. Some computers may automatically unzip the file for you, in these cases, you will need to look for the text (.txt) file instead of the zipped (.zip) file. Once you have located and unzipped your file, it can be opened in a text editor like WordPad or Excel.